First off, I’ve no idea of the exact address. 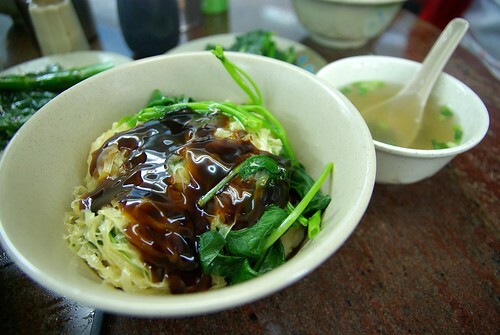 My host for the past week, who took me to Lung Kee Wonton (龍記招牌雲吞), said that it was a well-kept secret (according to him, has the best wonton in the whole city) that only Japanese publications have covered so far outside of Hong Kong. Why are its wontons so special? Because they are all-shrimp. That’s right: just the skins tightly wrapping bits of shrimp. My friend was himself taken there by a Muslim person. Wontons are usually pork and shrimp in the Cantonese tradition (those pork-only multiple-skin layers wontons at Chinese buffets are nothing but pale imitations). 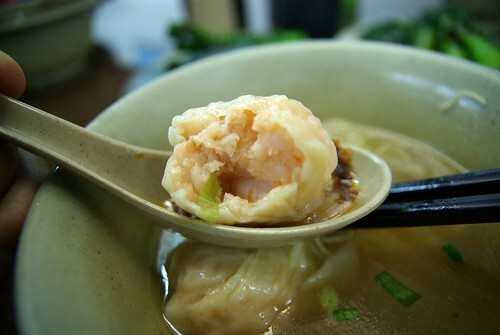 Lung Kee’s wontons are almost like boiled har gow, so much the shrimp flavour was dominant. 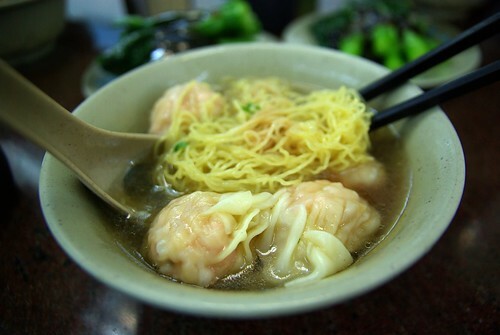 Your wontons are served as wonton mein 雲吞麵, so wontons with noodles of your choice, which are the classic egg-based thin noodles , in a clear broth. 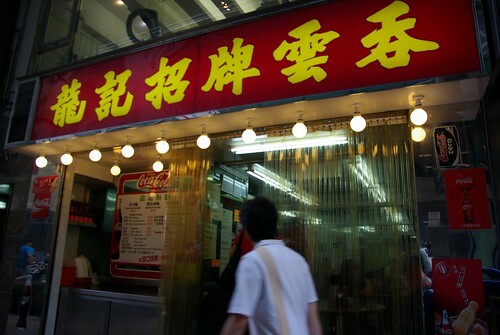 Lung Kee is located somewhere on Carnarvon Road, across from The Masterpiece in Tsim Sha Tsui, Kowloon side. You may find another restaurant of the same name in Jordan, but that’s not the same one (pictures of its wontons also don’t match)… So, good luck finding it! In the meanwhile, here is the menu. Aaarrghh! C’est de la torture!!! J’en veux! Manger! Previous Previous post: It’s tofu ice cream by Nestlé!